The world has always loved a good old murder. We love the thrill of the chase. Give us a detective and watch him or her work their magic. And there are some great fictional detectives snooping around, looking for evidence. Old and new, these ingenious novels are perfect for the coming autumnal evenings. You don’t even need a proper Kindle: you could simply use the Kindle app for iOS How To Use The Amazon Kindle Reader For The iPhone & iPod Touch How To Use The Amazon Kindle Reader For The iPhone & iPod Touch Read More and Android Why Buy A Kindle When You Can Use The Kindle App For Android? Why Buy A Kindle When You Can Use The Kindle App For Android? 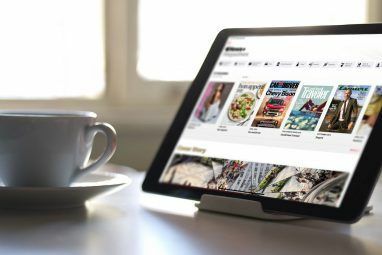 There are many people who aren't keen to buy a Kindle or similar e-book reader simply because they already have a similar multi-purpose device like a tablet or smartphone. You might be one of these... Read More . You’ve got to start working the little grey cells. Published in 1920, The Mysterious Affair at Styles introduced the world to a stuck-up little Belgian called Hercule Poirot. Somehow, the world fell in love with him. Agatha Christie, who had only previously published romance novels under the pseudonym, Mary Westmacott, even admitted to finding her own detective “insufferable”, preferring her other much-loved creation, Miss Marple. Nonetheless, Poirot appeared in 33 of her 66 crime novels, plus 54 short stories. Frequently known as The Queen of Crime, Christie is said to be the best-selling author of all time. Last year, The Murder of Roger Ackroyd was crowned the best crime novel ever by the Crime Writers’ Association. However, The Mysterious Affair at Styles remains a perfect introduction to the world of Poirot, Hastings and Inspector Japp, encapsulating well-versed mystery traits including a country estate, a locked door, a torn will, espionage, and strychnine poisoning! You can also pick up this book for free at Gutenberg.org. Agatha famously loved Sherlock Holmes and Doctor Watson. But then, who doesn’t? 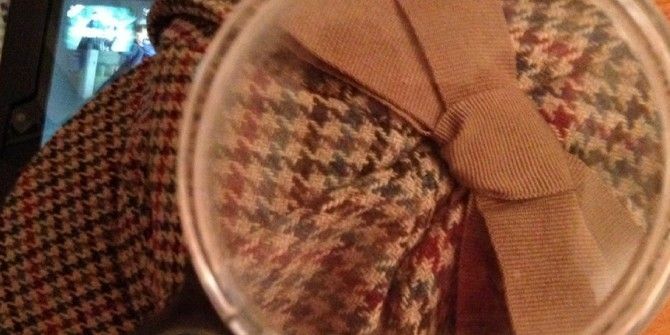 The character, often portrayed in a deerstalker hat, is everywhere at the minute – and deservedly so. You simply can’t ignore the BBC’s Sherlock, starring Benedict Cumberbatch and Martin Freeman and written by Doctor Who‘s Steven Moffat, Mark Gatiss, and Steve Thompson; Robert Downey Jr. reportedly loved playing the mastermind on the Big Screen; and Elementary, with Jonny Lee Miller and Lucy Liu, makes radical changes to the books yet retains the source material’s brilliance. Written in 1886, you might be intimidated by A Study in Scarlet — surely the archaic language would hide its ingenuity — but no: the book is engrossing, awe-inspiring and an immense pleasure to read. There’s nothing out-of-date about Britain’s Great Detective. 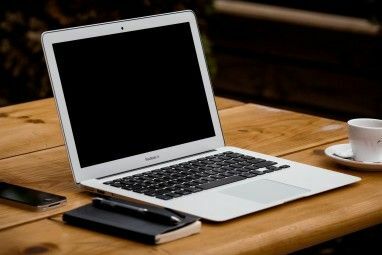 (Get a taste of his style by reading a short story or two — and then indulge in some more concise tales 5 Fantastic Short Stories You Can Read Online for Free 5 Fantastic Short Stories You Can Read Online for Free Short stories are finally getting a proper look-in, thanks to some of the best in the business. May is Short Story Month. Celebrate by immersing yourself in the genius of these truly great authors. Read More .) Doyle takes some brave steps throughout but the most surprising thing for newcomers will undoubtedly be that they’ve never read it before. And if you’ve already read it, you’ll want to pore through it again! You can also pick it up for free at Gutenberg.org. It can’t be long before Elly Griffiths is a household name… even if it’s not the author’s real name. The Crossing Places is the first book to feature Dr. Ruth Galloway and DCI Harry Nelson, two very fallible characters who are drawn together after bones are found on the North Norfolk coastline. Galloway, a forensic archaeologist, lives on the edge of the marshland, and helps Nelson unearth the truth behind cryptic clues, messages that include biblical and mythological references. It’s a smart, emotive and very human novel with chilling imagery and a rush-to-the-finish-line conclusion. It has divided critics, but many (this reader included) enjoyed it so much that they purchased the follow-ups, The Janus Stone, The House at Sea’s End, A Room Full of Bones, A Dying Fall and The Outcast Dead. With a further book, The Ghost Fields, released in April 2015, her tales are calling out for high-profile TV adaptations. Rebus. That one name is enough to drop you in the middle of Edinburgh, and evoke the book’s atmosphere and tone. Ian Rankin’s first book is a surprisingly different beast, slightly detached from the victims despite the opening which takes you directly to a kidnapping. Nonetheless, Knots & Crosses is a dark and clever narrative, which deals largely with the day-to-day trials of Scotland’s grisly inspector. Rankin says that Rebus was supposed to die in this first book, and the gritty tone and sudden action certainly makes Death feel like an ever-present character. This debut is smart and incredibly well-written, despite being Ian’s first published work which even he admits isn’t his A-Game, and if you’re not a convert already, you definitely will be when you come to the heart-stopping conclusion. From dark and gritty to dark and funny, Plugged is probably unlike any crime fiction you’ve read before. You might know Eoin Colfer for his acclaimed Artemis Fowl series – children’s books that adults love – and the author’s trademark humour remains. But there’s an added noir quality and grim gags a-plenty. You might feel bad at laughing at some parts. It’s genuinely witty and anyone using the abhorrent term “lol” will finally know its true meaning. Colfer appears to have paid homage to Raymond Chandler and Douglas Adams, fresh off writing his “Part Six of Three” novel, And Another Thing…, an official continuation of The Hitchhiker’s Guide to the Galaxy. It’s a successful formula that is bound to please fans and win over newcomers. This is the tip of the dagger. There will always be Morse – sorry, I mean, more. In fact, you could even branch out a bit and read some free (or very cheap) thrillers The Top 10 Free Or Very Cheap eBook Thrillers [MUO Book Club] The Top 10 Free Or Very Cheap eBook Thrillers [MUO Book Club] You’ll be hard pressed to find any long distance journey where none of the passengers are reading a thriller. This type of novel – packed with suspense, tension and excitement – has become a staple... Read More on your Kindle. With so many great detectives on the scene, it’d be a crime not to dig in. Who’s your favourite fictional detective – and why are their cases so compelling? 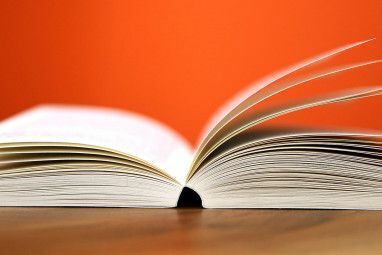 Explore more about: Amazon Kindle, Book Reviews, Ebooks, eReader, Reading. Though it doesn't exactly fall into the "detective" genre, I have to recommend Michael David Matula's Try Not to Burn. There's a bit of mystery in it, so it might appeal to readers of this genre, but I think it falls more into the horror genre. It's not scary, but just . . . out there. It's a really unique book, and I was totally blown away by it. Looking into the The CWA Dagger Awards list is also a nice way to find recommended reads in this genre. Thanks, Philip. This is why I read MUO. One never knows what treasures lie within. I'll check out authors Griffiths and Colfer. There are 3 mystery writers that my wife and I really enjoy. Elizabeth George(Inspector Lynley), Donna Leon(Guido Brunetti), and Carol O'Connell(Kathy Mallory). Yes, all female and each a great writer. Of course Colin Dexter(Morse) is unparalleled. Oh, to throw in a male author, Bruce Alexander's (Sir John Fielding) series is excellent. Lastly, where's Prof. Moriarty when you need him to dispose of Kate J.(above)? Thanks, Bill - pleased you like it.